EMD’s GP30 remains one of the most distinctive models produced by the company. The prototype, originally designated a GP22, was introduced in mid-1961 with 948 examples built by the end of production in late 1963. There are basically two variations or phases to the appearance of a GP30. A GP30 Phase I includes a shorter length cab and a stanchion in the handrails coming down the fireman’s side of the rear cab area. A GP30 Phase II model omits the stanchion at the bend in the handrailing coming down the fireman’s side cab and the cab is 10-inches longer that the original design. All the Athearn GP30 roadname offerings are from railroads which did roster this diesel. The Athearn model surfaces in annual catalogs for the first time with the 1962-63 edition. 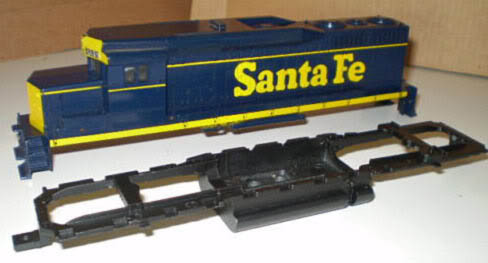 The GP30 is shown in illustration form in CB&Q and Santa Fe paint and promoted as, “GP-30 Wide Range Diesel” selling for $10.95 as a powered geared model; $8.95 in powered kit; and $2.95 for dummy kit. The roadnames either illustrated or listed in 1962 included: ATSF, CB&Q, and UP. 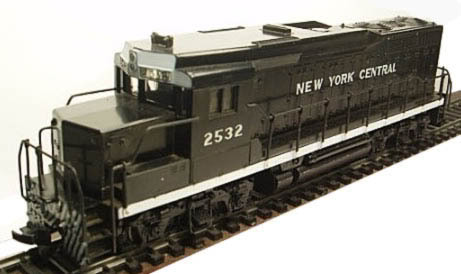 Athearn would soon add the Eastern roads of Reading and New York Central to its GP30 offering. 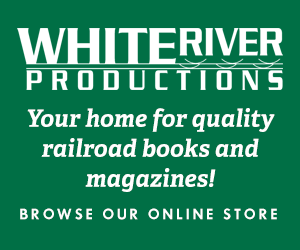 An excellent article on the development and production of the EMD GP30 may be found in the January 1987 edition of Railfan & Railroad magazine, “The GP30 Story” by Win Cuisinier. 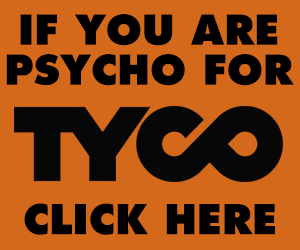 The prototype information provided here was taken from this informative article. 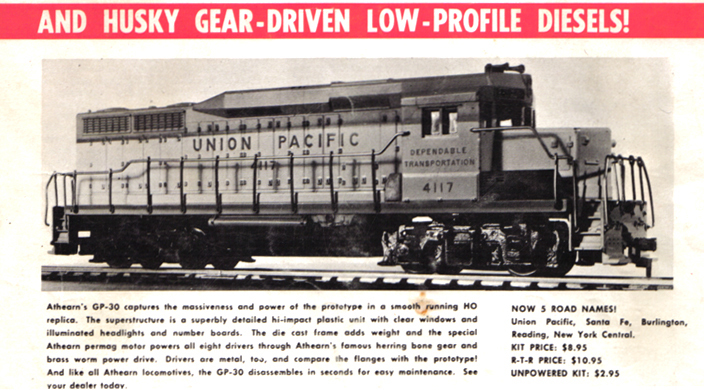 Plans for the GP30 are included in the May 1962 issue of Model Railroader. A GP30 Phase I example is presented with dynamics brakes, a lower headlight in the nose, plus a vertical rear headlight above the roofline over the standard horizontal one. Athearn’s GP30 is promoted in this March 1965 ad, but by this date its future with the company would be only about another year. The story reported and often told is Athearn cut the GP35 from the GP30 tooling and therefore no molds exist for this odd looking diesel. The roadnames Athearng offered on its GP30 all correspond to actual owners of this diesel. None of Athearn’s choices of roadnumber however have any connection to those used on the various prototypes.